CODEPINK co-founder Medea Benjamin with associates in Portland, Oregon just before the release of her book Drone Warfare: Killing by Remote Control. I was momentarily elated to read that the CIA was scaling back the use of drone attacks in Pakistan because the program was "under threat from public scrutiny," as reported here by ABC News. But I soon found that meant public scrutiny in Pakistan, not the U.S.
the U.S. public remains largely oblivious, concerning itself mostly with what to eat and celebrity gossip about the birth of famous babies. Protect Whistleblowers... Barack Obama will strengthen whistleblower laws to protect federal workers who expose waste, fraud, and abuse of authority in government. Obama will ensure that federal agencies expedite the process for reviewing whistleblower claims and whistleblowers have full access to courts and due process. Tell that to John Kiriakou, whistleblower on the CIA's use of torture. Here's his letter on being denied medical treatment in the federal prison where he's doing 2+ years of time for sharing information the Obama administration did not want shared. About torture conducted by an official of the Bush administration. 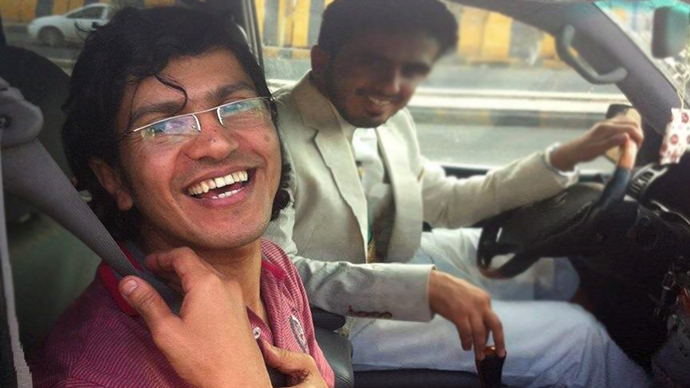 Meanwhile, back in drone land, Yemeni journalist Abdulelah Haider Shaye was finally freed after three years in prisons our own Justice Department describes as subjecting prisoners to torture and abuse -- and the White House expressed disappointment. That Abdulelah Haider had been freed. Because Obama had specifically requested that he be kept in prison. conducted several interviews with the radical cleric Anwar al-Awlaki. Shaye did the last known interview with Awlaki just before it was revealed that Awlaki, a US citizen, was on a CIA/JSOC hit list. Al-Awlaki, as those of you paying attention are aware, is the most high profile US citizen to have been killed by extrajudicial drone strikes, in part because his 16 year old son, also a US citizen, was killed two weeks later in yet another drone strike in Yemen. It isn't just war news that is suppressed. So is news about what is likely to eventually be seen as the biggest event of any of our lifetimes. Almost no one in the U.S. knows that Fukushima's reactor No. 3 appears to be in meltdown. Or that TEPCO seems unable to muster a meaningful response even though there is action they could take. Or that thyroid abnormalities in infants have increased 28% in Hawaii and the west coast of North America. You can sign a petition urging West coast senators to investigate the unfolding disaster as a step toward mustering an international response. On July 10, 2013, the Japan Times reported that rising radioactivity levels in seawater off the coast of Fukushima measured 90,000 times more than officially “safe” drinking water...Bluefin tuna caught off San Diego in an August 2012 study demonstrated elevated amounts of Cesium 134 and 137, which are considered characteristic isotopic markers for Fukushima radiation. Well, maybe you did know that. But most of your neighbors remain in blissful ignorance. Our government acts with impunity because it does not believe that what passes for public scrutiny in the U.S. is meaningful enough to pose a threat.